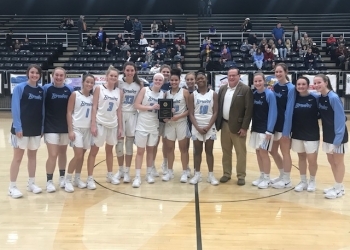 Both the Bartlesville High basketball teams are right back after it on Thursday with games in the Broken Arrow Tournament. BHS split a double-header on Tuesday, with the girls winning and boys losing. This weekend will present a different challenge for the Lady Bruins and Bruins – as they both will have three games over three days in BA. Both clubs started practicing in October, with no games until Dec. 4, but now it’s pedal to the metal with four games in five days to begin the season. On the ladies side, Bartlesville will take on Nathan Hale in BA. Hale is 1-0 on the season in Class 5A. Bartlesville beat Owasso 46-32 on Tuesday. The Lady Bruins won this tournament last season, on their way to a 23-0 regular season. BHS girls play at 10:00 AM. We will have that game on 1500 AM and 99.l FM – KPGM. Pregame about 9:45. On the guy’s side, Bartlesville lost a 13-point lead in the second half against Owasso on Tuesday, falling 65-58. Early in the season sometimes conditioning can be an issue. Head coach Clent Stewart thought that fatigue played a role in the Bruins final 12 minutes of the game. The Bruins will face East Central in the first round of the tournament today. Tip off at 5:30 PM. That game will air on KWON – AM 1400 and FM 93.3. We will join the contest right after the 5:00 PM news.